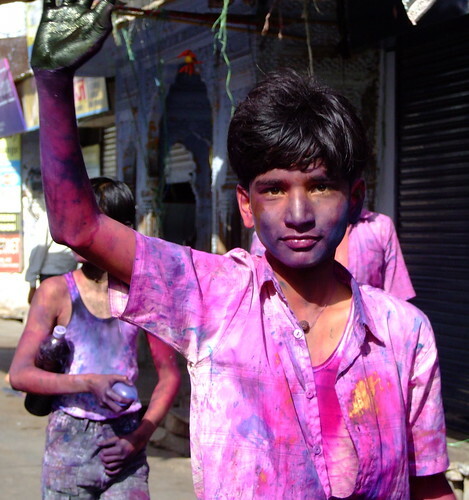 Holi, also called the Festival of Colours, is a popular Hindu spring festival observed in India, Guyana, Trinidad, and Nepal. On the second day, people spend the day throwing coloured powder and water at each other. The spring season, during which the weather changes, is believed to cause viral fever and cold. Thus, the playful throwing of the coloured powders has a medicinal significance: the colours are traditionally made of Neem, Kumkum, Haldi, Bilva, and other medicinal herbs prescribed by Āyurvedic doctors.